Amid continued focus on Brexit and the political turmoil the Prime Minister finds herself in, a little-known strategy paper was published by the Government. 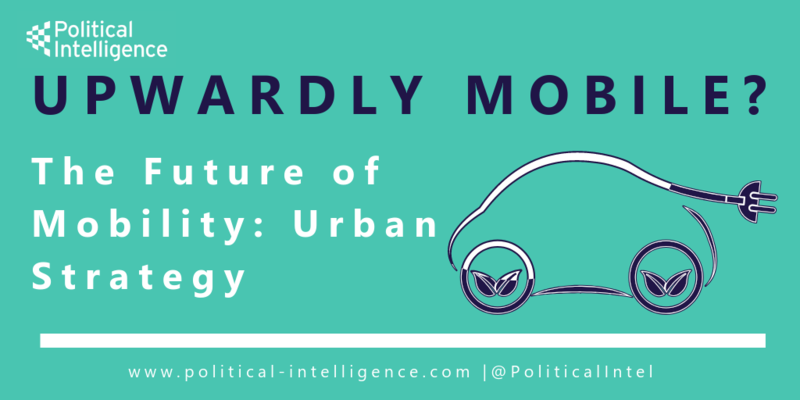 The ‘Future of Mobility: urban strategy’ is the biggest review of transport in a generation and sets outs proposals to revolutionise the way that people and goods move around cities. Launching the strategy, Transport Minister Jesse Norman MP, rightly pointed out that transport improvements for the past half-century had been both “gradual and incremental”, focused on meeting increasing demand within the existing infrastructure framework. Developments in technology and the onset of innovative means of mobility, however, mean that such a review is necessary not only to ensure that the UK harnesses such innovation but also to ensure there is an appropriately agile regulatory framework in place. The future of mobility is one of the four grand challenges identified by the Government’s Industrial Strategy, a cornerstone of Theresa May’s time in Government and a direct attempt to back those burgeoning sectors to ensure that they thrive post-Brexit. The various reviews were accompanied by announcements, including the launch of up to four Future Mobility Zones which will be used to demonstrate a range of new mobility services, modes and models. The strategy was particularly remarkable in highlighting the existing transport-related innovation being applied across the UK, including the likes of Stagecoach in trialling self-driving buses, Arriva’s development of an app-based on-demand public transport service and the London Electric Vehicle Company’s development of a new extended electric taxi. The strategy is not short of ambition. The challenge remains for the Department for Transport’s to deliver a lasting regulatory framework that marries the twin concerns of safety and the need to harness innovation.